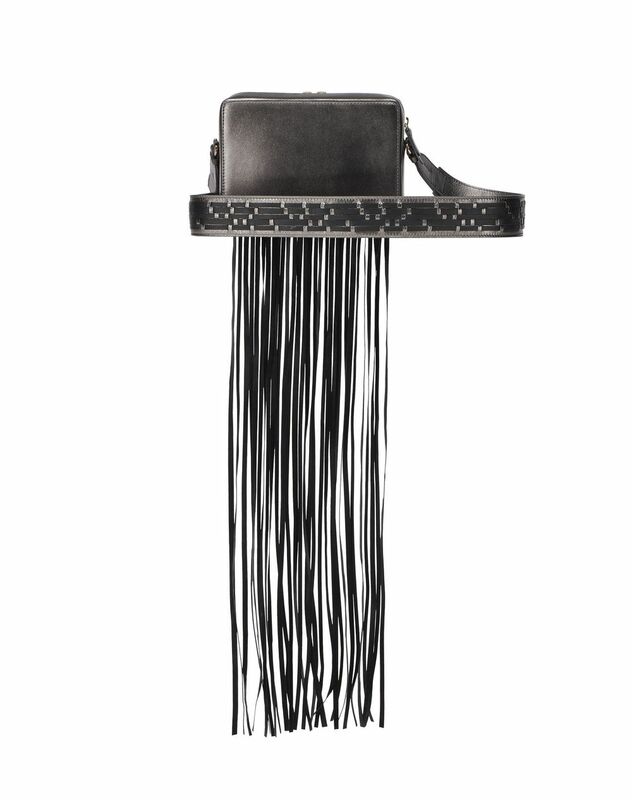 “Toffee” bag in anthracite calfskin leather, seamless hand-woven leather exterior, and black fringe. 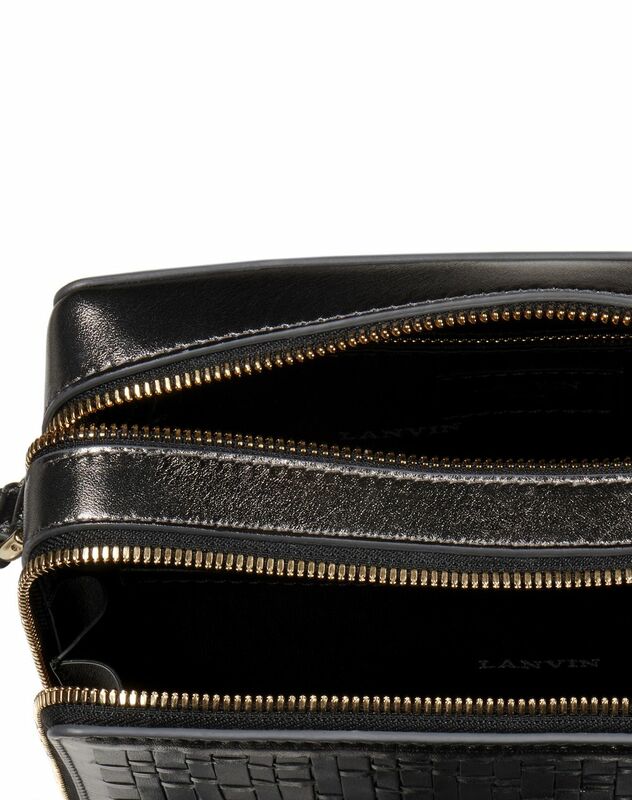 Central compartment with vermeil-finish metal zipper and a “Lanvin” engraved pull containing a zippered pocket, front pocket with vermeil-finish metal zipper and a “JL” two-way pull containing a patch pocket, black lining, and adjustable shoulder strap with woven detail. 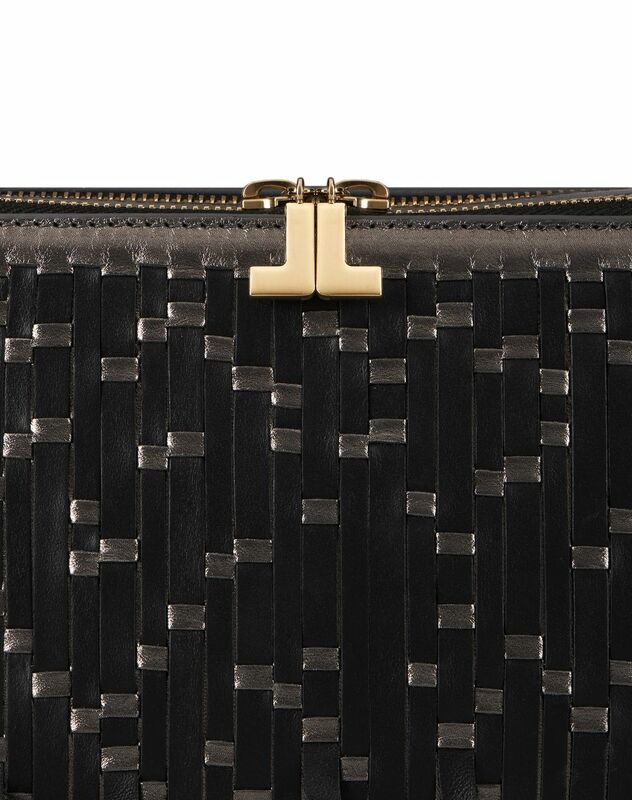 The “Toffee” bag has been revamped this season as a testament to Lanvin’s exceptional craftsmanship. Presented during the women’s Winter 2018 show, it stands out for its two-toned woven detail and oversized fringe, which liven up the silhouette with trendy, contemporary flair. Main material: 100% lambskin leather. Secondary material: Calfskin leather. Lining: 100% polyester weave. 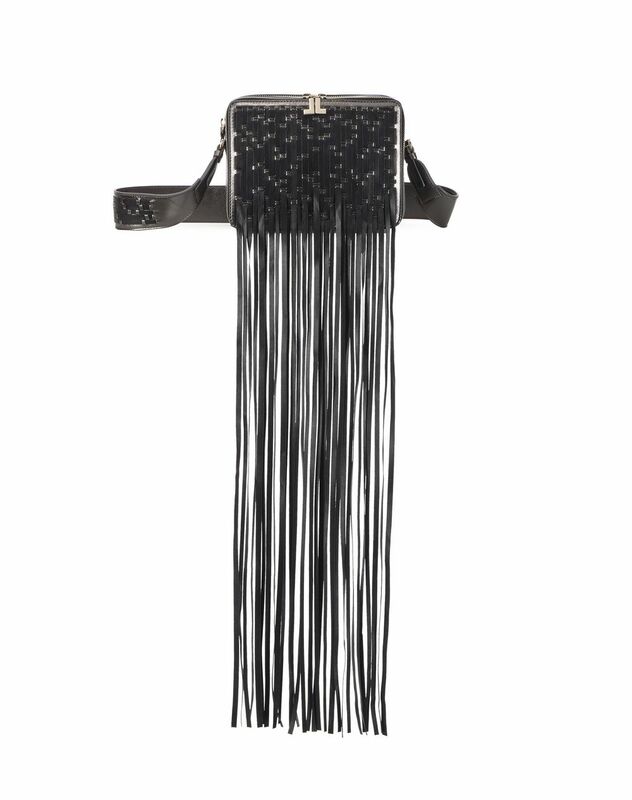 Depth: 6 cm Width: 20,5 cm Height: 15 cm Shoulder strap length: adjustable from 92 cm to 128 cm Shoulder strap height: adjustable from 39 cm to 58 cm Made in Italy.